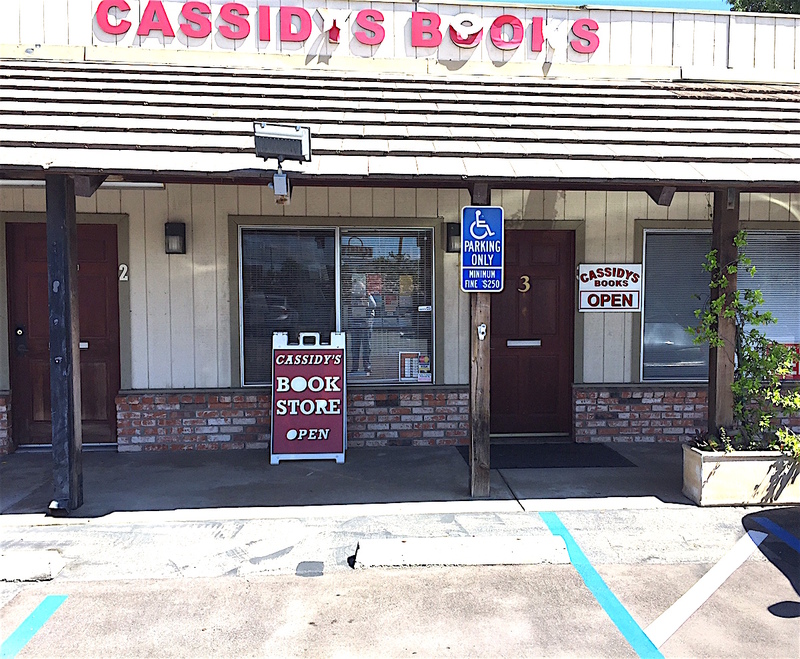 Tom McDevitt’ sat behind the large front counter at Cassidy’s Books, in the shadow of Fry’s Electronics at a back-of-the-curve, out-of-the-way strip mall considering North County literary options. “The Book Mart on Grand Avenue in Escondido has been there 40 years,” McDevitt said with the deliberate, studied manner one might expect from a bookseller. “Escondido used to have three or four book stores. Now, it’s down to one. As McDevitt’s voce trailed off, it was clear that Cassidy’s Books might not be at the head of the North County used book class, but it doesn’t take long to call the roll. McDevitt didn’t start out as a bookman. In fact, “Young people might not seem to read a lot,” he said, “but when I was young I didn’t read a lot.” First, he tried telemarketing, then he went into the restaurant business. He managed a Lake Forest Coffee shop for many years before end of story. Flip the page to 1992. The venerable Cassidy’s next to the still-popular Panda Garden at 742 S Rancho Santa Fe Rd.was available. McDevitt knew a good deal when he saw it and bought the store. Given the conditions of the Great Recession, he moved in late 2008 to a smaller, and clean, well-lighted place, the current 801 Grand Ave. Suite 3 location. This tail has the proverbial silver lining, though. Lately — surprise — the used book business has been on the rebound. As McDevitt noted, “A lot of people are down on devices like Kindle. It was supposed to be cheaper and easier to use, but it wasn’t. Kindle users aren’t all that happy as a group. There’s all those squiggles and electrical stuff. You can’t buy a computer chip and give it to someone. Simple economics represent another factor contributing to the new used book renascence. Generally, inventory can be obtained for 10 cents on the dollar, while used books can sell for 50 cents on the dollar, a very healthy markup. 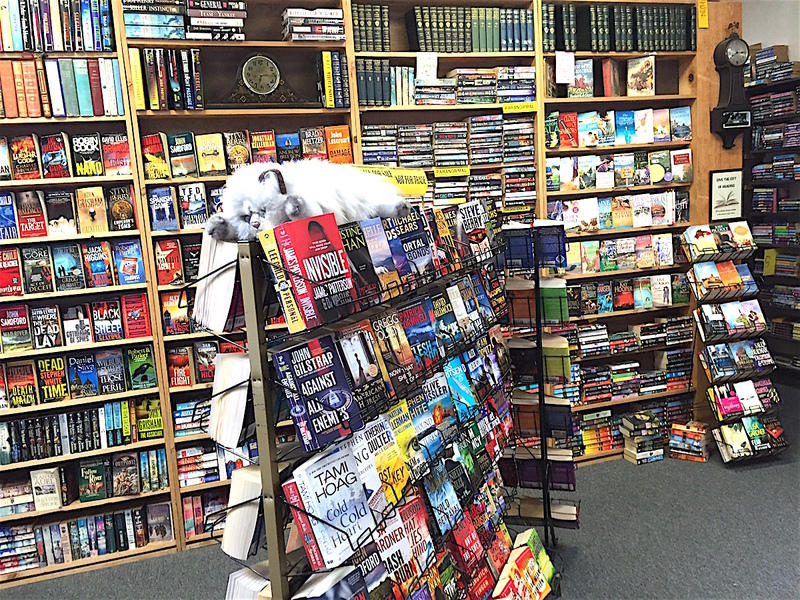 Some savvy used booksellers are taking advantage of social media and online sales. For example, some sign up for Amazon’s third-party marketplace where they can sell directly to customers online. Book sales, in general, are doing very well. No statistics are kept for used book sales. However, the American Booksellers Association’s latest industry statistics for February showed estimated book sales increased to $732 million that month, compared to $683 million for the same period last year. The savvy McDevitt obtains a lot of books from people who are moving and don’t want to lug around volumes. He also features a paperback trading system whereby customers can swap out books. “A lot of these walk in the door with customers,” he said. Do not judge a book store by its cover sign. The store stocks 40,000 to 50,000 volumes. As one would surmise, most customers represent older demographics. Perhaps surprisingly, perhaps not, those in the book business are collaborative rather than competitive, according to McDevitt. In conclusion, McDevitt was coy about retirement. That’s a tale for another day. For now, Cassidy’s Books is open 9:30 a.m. to 5:30 p.m. Tuesday to Saturday at 801 Grand Avenue. Interested readers can call (760) 761-4910 or even email cbookst@sbcglobal.net. However, as for a web site, Facebook or Twitter page, don’t even think about it. Be the first to comment on "Used books still in style at Cassidy’s"